"What is so rare as a day in June? 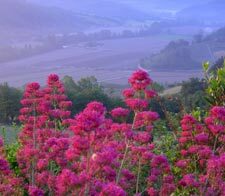 "...Well to be exact, twelve picture perfect days in May in Tuscany and Umbria where the cobalt blue skies with white fluffy clouds dancing about and temperatures in the mid-70's awaited each morning. With weather such as this, life is good and the Italians prove this on a daily basis. Our days were filled with early morning drives along winding roads through vineyards and olive groves that were resplendent with new leaves and the brilliant yellow of ginestre giving off a perfume that filled our nostrils. Scenery as one can only imagine became the norm and yet time and time again we found ourselves "rendered speechless" by the beauty and splendor of the countryside. Small towns offered up lunches where no menu exists and the excitement of the surprise that would end up on our table (where the only pre-requisite was that it must be out of doors) never failed to amaze us. Days seemed to go on forever and the sun set ever so slowly, gently allowing us to experience the ever-changing light of this part of the world over a glass of wine. Nights revolved around heading to a local restaurant (or better yet fattoria just down the road) to experience superb authentic food and more often than not, a late night conversation with the chef/owner. We had the opportunity to spend three nights in Lucca while we explored the hillsides surrounding this beautiful town. What a delightful experience it was. Not only is this area perfect for the Wimco client but so are the delightful houses which come in every price range. September would be the perfect time to be in the Lucca area which hosts a large celebration during this month. Chianti? Why, yes, thank you very much! How very lucky we were to experience it in the first blooms of Spring with few (if any) tourists. Perugia (the regional capital of Umbria) is a bustling city filled with students from the university who flood the main piazza on Friday evenings. A delightful dinner began our stay to be followed by a series of days which became progressively warmer with the smell of lavender and rosemary permeating the air wherever we went. 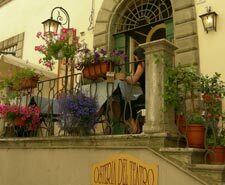 There are some wonderful properties surrounding Todi. The houses range from luxurious villas to villas well suited for families. The location lends itself to day excursions to Deruta, Todi, Gubbio, Orvieto and of course the Mecca for pilgrims – Assisi. Tuscany or Umbria? How very different these two regions are. Where Tuscany is filled with vineyards, and olive trees occupy every available plot of soil, Umbria is the land of vast farms filling the hillsides with various patterns and colors. Previously I had been of the mind that Umbria held a certain fascination with its ancient hill towns perched above farms that stretched for miles in every direction; however, Tuscan gardens in the spring are something to behold. The most incredible roses I’ve ever seen, blooming in every possible location and dense woodlands that only allowed the slightest dappling of sunshine wooed me every moment of the time we spent there. 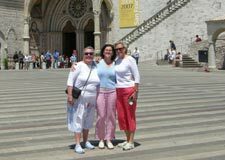 Italy is a delight for the senses and whether you speak the language or not, you'll always be made to feel welcome wherever you travel throughout the country. The sense of history, of wine and roses, of gastronomic delights offers something for everyone. I will cherish the memories of this experience and endeavor to share this with all those curious to travel to these beautiful areas of Italy. Thank you. 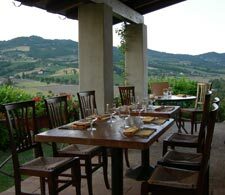 A luxurious villa situated on a hilltop overlooking verdant valleys with splendid views, and only two miles from Todi. Elegant, but extremely comfortable with incredible rose gardens surrounding the pool. Comprised of two buildings that can accommodate a total of 14 people, this villa is perfect for extended families. It is situated on a hilltop and al fresco dining enjoys panoramic views. A true gem in the Tuscan countryside. 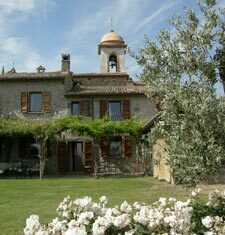 This is the perfect villa to explore the towns of Tuscany, and especially Lucca. Superbly maintained with glorious gardens surrounding both the pool and the outdoor living areas.